ZIMBABWE – The whereabouts of a Zimbabwean businessman, who was subpoenaed to give evidence in the Durban High Court in a case related to his purchase of North Coast properties, remained vague on Thursday, other than that he was in Europe and the Middle East. And suggestions that Robert Mhlanga “ who is said to have strong ties with Zimbabwean President Robert Mugabe “ would make himself available when it suited him were strongly rejected by Judge Piet Koen, who said: I don’t care if it’s Donald Trump. A witness should not dictate when they will come to court. That just doesn’t wash. It would set a dangerous precedent that any high-powered businessman can dictate when they will come to court it is unheard of, he said. 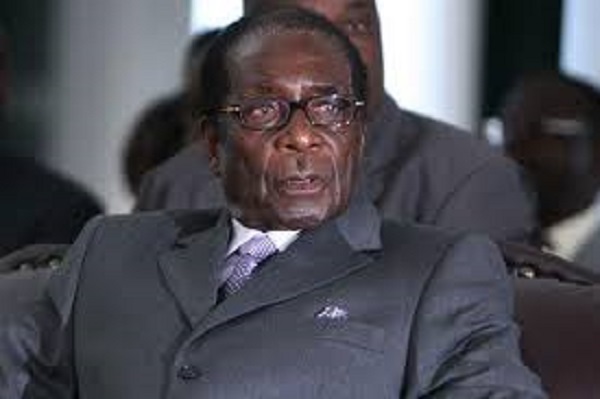 The businessman, Mugabe’s former helicopter pilot, is chairman of Mbada Diamonds which operates in the controversial Marange area which is at the centre of allegations that billions of dollars in gem proceeds were diverted from government treasury. He is wanted in Durban Court over a transaction in which he paid R100million (about US$4.6m) for a property which the owner acquired for R100,000 (US$4,600) in 1996. Mhlanga was asked to testify by Martin Sherwood, who is suing Michelle Mauvis for R5 million which he says she owes him for introducing her to Mhlanga. This was in relation to Mhlanga’s purchase for R100 million of Mauvis’s property. Sherwood and Mauvis each owned about seven hectares of land on the doorstep of the plush Zimbali Estate. Sherwood said he sold his land “ which had development rights and on which he had built a mansion “ to Mhlanga for R85 million. He then, at Mhlanga’s request, introduced him to Mauvis, which led to his paying R100 million for her almost vacant property which she bought 20 years ago for R100 000. According to documents before the court Mhlanga’s cash came from various businesses in Dubai. Sherwood says they had a deal that Mauvis would pay him 5% of whatever she got for the land, but Mauvis flatly denies this. In response to a request from Sherwood, Mhlanga has put up an affidavit in which he confirms there was some introduction fee agreement, although he says he does not know the final percentage agreed on. The admissibility of this is being opposed by Mauvis’s lawyers, who say it is hearsay unless Mhlanga testifies. On Thursday Mhlanga’s Johannesburg-based attorney, Paul Casasola, testified that his client had a prior commitment which he could not reschedule. He said a draft of the affidavit had been prepared by Sherwood’s attorney and sent to him. In response to objections raised by Mauvis’s advocate, Spiko Dickson, about the hearsay issue, the judge asked if Mhlanga was going to be called to testify. Advocate Greg Harpur, for Sherwood, said he could not be sure. Mhlanga’s lawyer Casasola testified that his client had various business interests in commodity training, mining and property. He had properties in South Africa, the Middle East, the Far East and Zimbabwe, he said. Under cross-examination, he agreed that apart from the Zimbali property, Mhlanga also had a house in Umhlanga. So he must come to KwaZulu-Natal. It would be a terrible waste of that sea view if he didn’t, Dickson said. Casasola replied: A hundred percent. Dickson also referred him to a letter written by Sherwood’s attorney, which noted that an affidavit from him might avert the trial which, if it went ahead, would be a matter of public record. Mhlanga would be required to give evidence in public and would be required to attend court for the entire set-down period. I am sure that filled his heart with dread. So there were a number of incentives for him to think he should play ball, said Dickson. The trial was adjourned on Thursday to the middle of next year.